The revenue department has threatened to take Kingfisher Airlines to the court over service tax evasion, saying the company has not deposited taxes it collected from travellers. "It (Kingfisher) has to face the court... Evasion has already taken place...They can even be jailed," Central Board of Excise & Customs (CBEC) chairman S.K. Goel said. Purchase or construction of a house would now cost more due to expected rise in prices of the key raw materials — cement and steel — and a hike in service tax by 2 per cent, realty players said. Barring low-cost housing, property prices are expected to rise in the coming days after the proposed hike in service tax from 10% to 12%. Vodafone Group Plc has said it was examining a proposed retrospective change in Indian tax law, but did not believe it would have any impact on a Supreme Court verdict in January dismissing a $2.2 billion tax demand on the company by Indian tax authorities. "We continue to have faith in the judicial system," Vodafone said in a statement. Q: I want to change the ownership of a property registered in my name. Being the karta (head) of a "Hindu undivided family", this property can't be mortgaged to a bank for the purpose of securing a loan required for business expansion. What are the legal and tax aspects in regard to changing the ownership in my or my son's name, and how much expenditure will it entail? The service tax department has already frozen as many as 40 bank accounts of the debt-ridden Kingfisher for non-payment of dues worth Rs 76 crore, which also include arrears and interest. Its IATA accounts too have been frozen. "Now there are two things — we’ve to recover that (dues) and, secondly, whatever punishment has to be given (by court)," Goel added. The airline had informed CBEC that it would pay the dues by March 31. 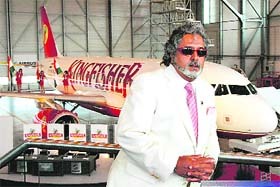 Goel said Kingfisher Airlines had collected the service tax at the rate of 10% from its passengers, but did not pay to the government. "So it’s a case of tax evasion. For evasion there’s a criminal liability under which courts are empowered to take action once it’s proved it (Kingfisher) has evaded tax. That action will be taken," he added. The service tax department can take Kingfisher to court under Sections 76 & 78 of the Finance Act. Under the provisions of the Act, the CBEC can charge up to 200 per cent of the tax evaded as penalty. The income tax department too frozen the carrier's bank accounts for not depositing tax deducted at source. Cement and steel manufacturers have already hinted at a price hike after the budget proposed raising the excise duty to 12%. Commenting on the budget proposals, Confederation of Real Estate Developers' Association of India (CREDAI) chairman Pradeep Jain said, "Application of TDS on the purchase and sale of property and raising service tax by 2 per cent will further add on to the overall cost of property and are bound to make property more costly in coming days." Realty consultant DTZ said the service tax hike is going to further increase marginally the overall burden on buyers of mid and high segment homes (dwellings costing over Rs 25 lakh). The impact of the hike would be about Rs 40,000 on a Rs 75 lakh home. Jones Lang LaSalle India chairman & country head Anuj Puri said "the hike in the service tax from 10% to 12% will increase the cost of production for developers, who are already reeling under high input costs. It follows that this increased burden will be passed on to end-users". A: A "Hindu undivided family" (HUF) is a separate and distinct entity vis-à-vis you as an individual. This will be treated as a normal sale transaction, attracting provisions of capital gains. You or your son will have to pay the fair market value of the property to the HUF. This transaction will also attract the prescribed stamp duty. Q: I was working in an autonomous body and retired on Feb 29 this year after attaining the age of 60 on Feb 14. Will I be treated as a senior citizen for filing an income tax return for fiscal 2011-2012 (assessment year 2012-2013)? A: Sec. 80D as well as Sec. 80DDB of the Income Tax Act defines a senior citizen as an individual who is 65 years of age or more at any time during the previous year. The Finance Act, 2011, however, has reduced this age from 65 to 60 years only for computing the tax payable. Hence you will be treated as a senior citizen for FY 2011-12 so far as the higher basic exemption limit of Rs 2.40 lakh is concerned. But note the law has not lowered the ages in the case of the above mentioned IT Act sections. Similarly, for the purpose of professional tax, the age has not been reduced. 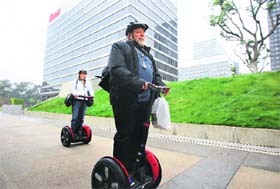 FA11 has also introduced a new category — "very senior citizen" — for an individual aged 80 or above. Q: I got my Public Provident Fund account extended twice and it will complete 25 years in November this year. Can I seek a third extension in a block of five years? A: Yes, there is no limit to the number of times you can opt for post-maturity extension of a PPF account during your lifetime. As a matter of fact, after your death your nominee/s or legatee/s do not necessarily have to close the account - it can continue (without any contributions) for a reasonable period. This period can be extended as long as you want by providing reasons for not closing the account. However, the account nominee cannot nominate another person; hence continuation by a nominee has inherent risks.